The Underwater Centre’s pier facility in Fort William. 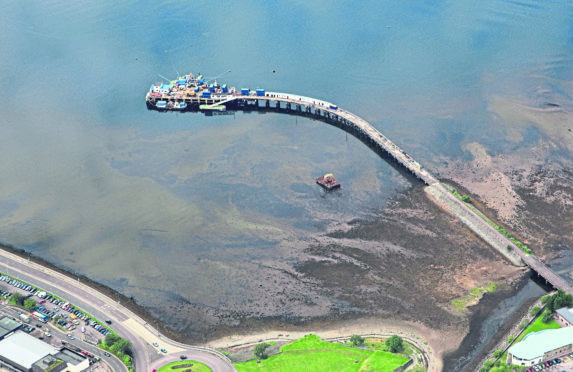 Laid-off staff from Fort William’s Underwater Centre could be entitled to claim up to £4,000. But to gain the extra payout on top of their redundancy money, they must act quickly, an employment lawyer has warned. Protective awards are paid out when a company hasn’t consulted fully with its employees before making them redundant. Around 50 jobs went after the world-leading subsea training base went into administration in October. The firm was forced to cease trading as one of only two centres in the world that offered closed bell training to divers. Its assets were sold off and the building is being bought by GFG Alliance, which aims to operate the smelter as a wheel alloy factory employing 700 people. David Martyn, of Thompson’s Solicitors, said: “The award is up to £4,000. For most of these guys, it will be £4,000 because they would have been really well-paid. “Unfortunately we do quite a lot of this work. It is related to the way in which a redundancy takes place. The taxpayer funds these payouts in the situation when the company is not in a position to do so. Mr Martyn said: “We have got about six or seven people who are claiming at the moment but I think that there were about 50 people who were sacked. All of them could be entitled to this £4,000. “Timelines are really short. If people don’t get their claims in in the next seven to 10 days they will lose the opportunity to get this money, which would be a tragedy given that they have all lost their jobs.